Fab looks! Love especially the one with a tartan skirt. Your manicured nails look so perfect!! I love all your outfits, so chic and cool! Che belli questi look! Il coordinato rosso zebrato è super! and I love that embroidered outfit you styled in the sixth photo! Love all the looks dear!!!! Sempre più belli i tuoi look, li amo tutti!! Il tuo look iniziale rosso e nero, Jeanne, è troppo bello! 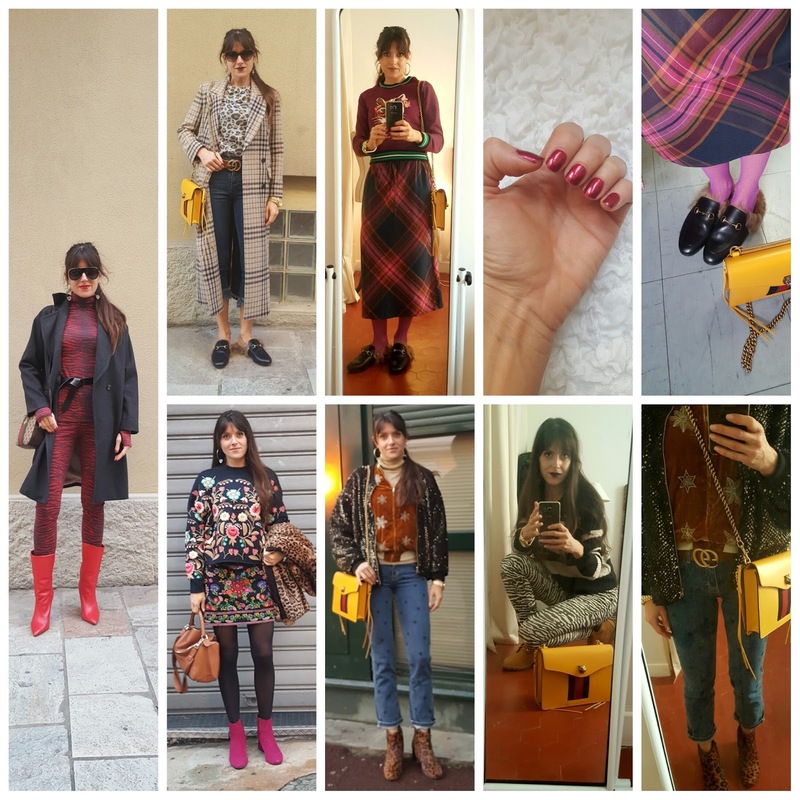 So many super chic looks! I love your outfit with the pink shoes!